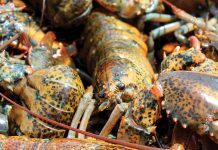 When the Chinese lobster tariffs of 25 per cent went into effect on July 6, many feared an immediate reaction in Maine, leading to lower prices. During the first six months of this year, lobster exports to China from Maine were booming. Many feared that the sudden cut-off of these exports would crash the market. 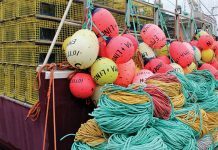 During the January to July period, Maine shipped three million pounds of live lobster to China in 2016, 5.6 million in 2017 and nearly 12 million in 2018. To have such growth suddenly halt is like an airplane aborting a take-off. 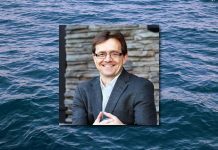 But the lobster market is much bigger than just China and it appears that other fundamentals in the market such as strong demand for both live and tails, shortages of product and average landings are all supporting current pricing. There was an increase in Maine shipments to Canada that occurred this past July. In fact, July 2018 exports are similar to 2016, when there were no tariffs. 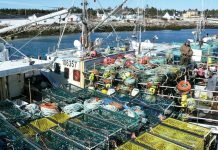 There is no question that the tariffs have put the Canadian side of the lobster industry in the driver’s seat. 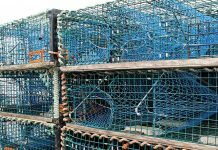 Canadian shippers can allocate their product without restrictions and are now the first option for lobster buyers in both Asia and Europe. But the largest market for Canadian lobsters continues to be the U.S. In this market, processors are cautious in packing meat and tails due to difficulties in the last two years. 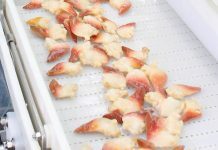 The problem the lobster processing industry faces is that packers have to produce both meat and tails, and if one product is in over supply, then it affects the willingness to pack the other product. This is exactly what has happened over the past three years. Strong demand for lobster meat and weak demand for tails meant that production could not keep up with meat demand, so meat prices rose to historic highs while tail prices remained flat. When the market corrected and lobster dealers held inventories of meat, packers felt they could not risk packing more tails without specific orders. As a result, last fall they were very cautious in tail production. The result has been a shortage of tails and a general increase in prices. So fast forward to 2018. The meat inventory problem is no longer there and most packers cannot meet their tail orders. This has led to a strong demand for lobsters for processing. Prices are now above where they were in 2016. 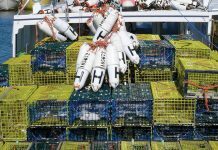 Live lobster U.S. wholesale prices have remained within their normal range. Adding to this picture is the fact prices have come down over 2017 in most areas of Canada. So, it is once again attractive to produce lobster tails and meat, with packers feeling more confident that they can remain profitable. Live markets this summer have remained strong as well. Pounds are depleted and Canadian tubed lobsters are in short supply, especially the high-quality lobster used for shipping overseas. And Maine landings have started to slow. 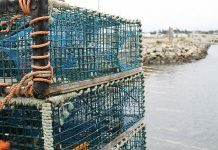 So, the upshot is that even though the China tariffs are important, other market factors are still controlling the lobster market and the key is that strong demand in the U.S. and slowdowns in landings is keeping prices stable. Much has been made of the fact that U.S. exports to Canada jumped in July by a huge amount over the prior month. But this is a historical pattern that was also seen in 2016 when there were no lobster tariffs. 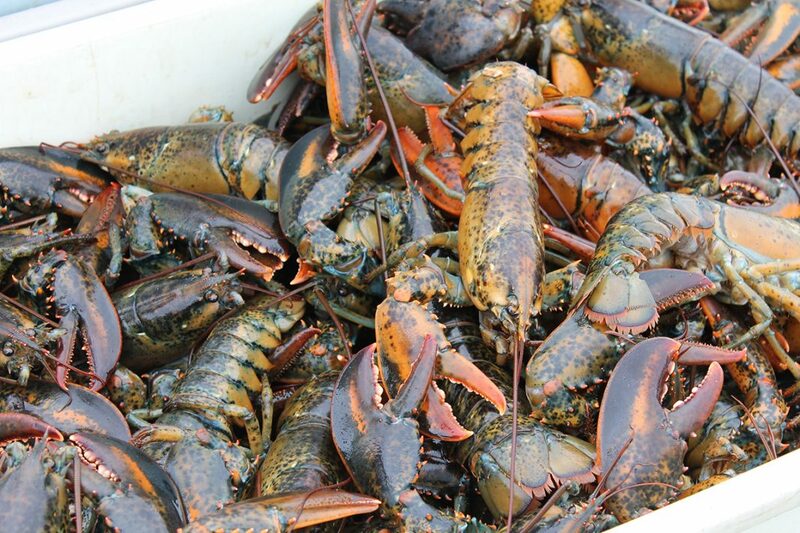 When processors are after product, more lobster goes from the U.S. to Canada. There is no guarantee that the Chinese tariffs will not have a price impact later in the year. The demand for lobster around the Chinese New Year has been a big driver of prices in recent years. But given that Canadians have a range of market options, it is not surprising that some U.S. lobsters are being sold into markets where the country of origin is not at issue. Prior to the Canadian and European Trade Agreement, much of lobster exported to Spain, Italy and France at Christmas was of Canadian origin, but was counted as U.S. exports. When tariffs are not involved, the industry has traditionally not been pressed too hard to distinguish the country of origin — where the lobster was packed was sufficient. 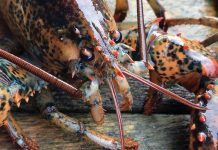 The tariffs in China and the favorable treatment of Canadian lobster in Europe has changed this situation, but there is still plenty of room in the market for Canadian producers to supply their customers legitimately with American lobster. This article was republished with permission of John Sackton and seafood.com.